Pro-Palestinian activists and civil society representatives on Sunday took to the Dam Square in Amsterdam in solidarity with the Palestinian people. 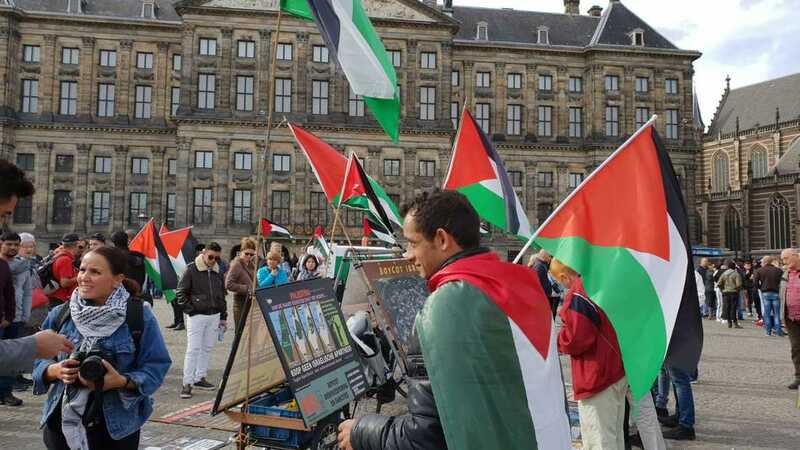 A rally was staged at the Dam Square in the Netherlands to speak up for Palestinians’ infringed rights, namely the right of return to their motherland--Palestine. Activists and NGOs raised the Palestinian flag as they railed against the Israeli crimes against the Palestinian people. The rally-goers slammed Israel’s Nation State Bill, which they dubbed a racist and discriminatory law. They further called for mobilizing support for the Great March of Return protests staged at the Gaza border and boosting campaigns in solidarity with the Palestinians. The attendants lashed out at underway attempts by the US and Israel to dismantle the UN refugee agency UNRWA, calling for serious efforts by the EU and international community to support the Palestinians throughout their anti-occupation struggle.